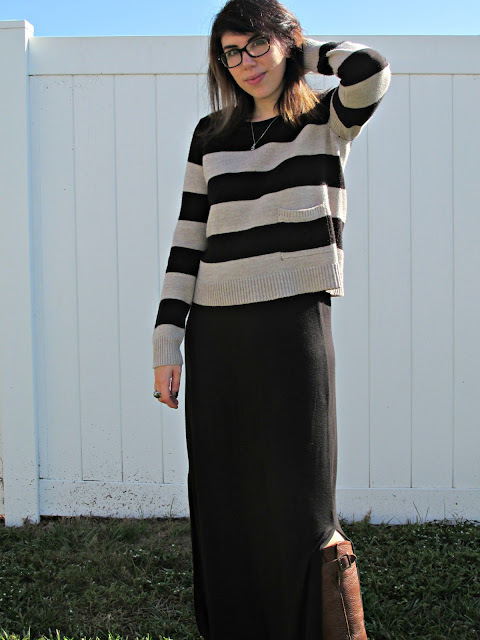 Whenever I feel like comfort is key I throw on one of two things: a maxi skirt or leggings. 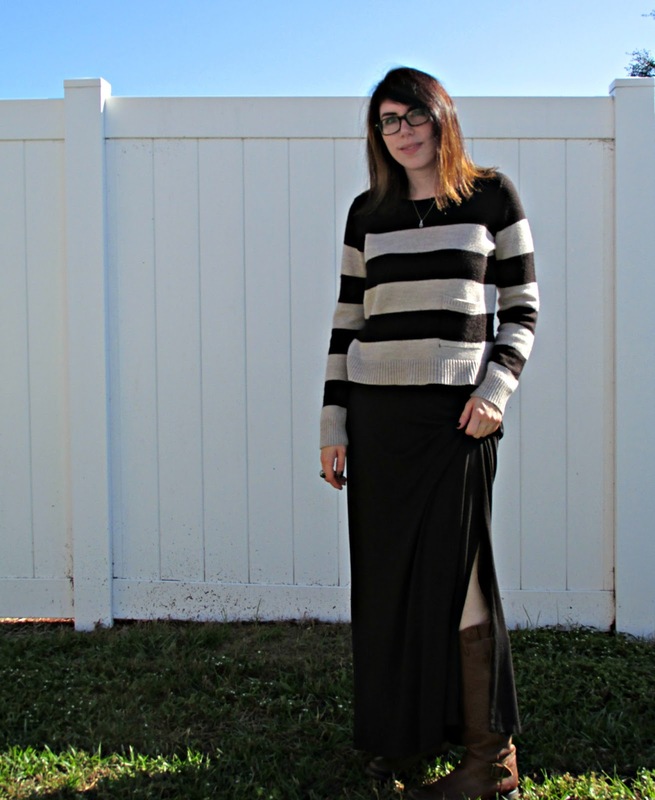 It's hard for me to not wear a maxi skirt at least a few times in one week. I mean it's essentially wearing breezy pajamas to work! And in my eyes, there's just something perfect about a black maxi skirt with slits on the side because no slits is a little too conservative to me. Best part about a maxi skirt is that it's extremely versatile. 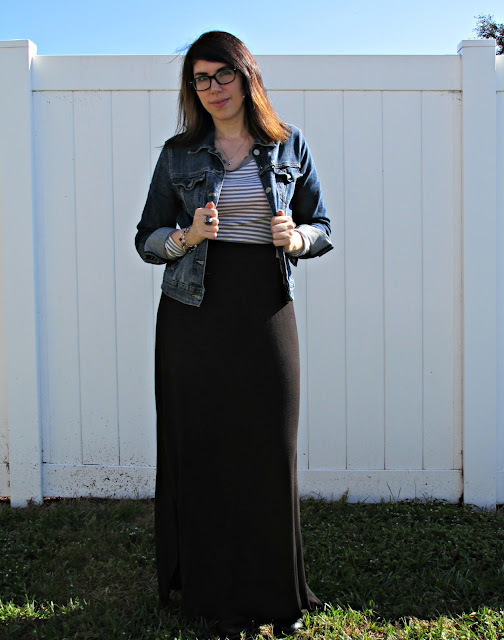 Below you can see how I've style one maxi skirt three different ways. 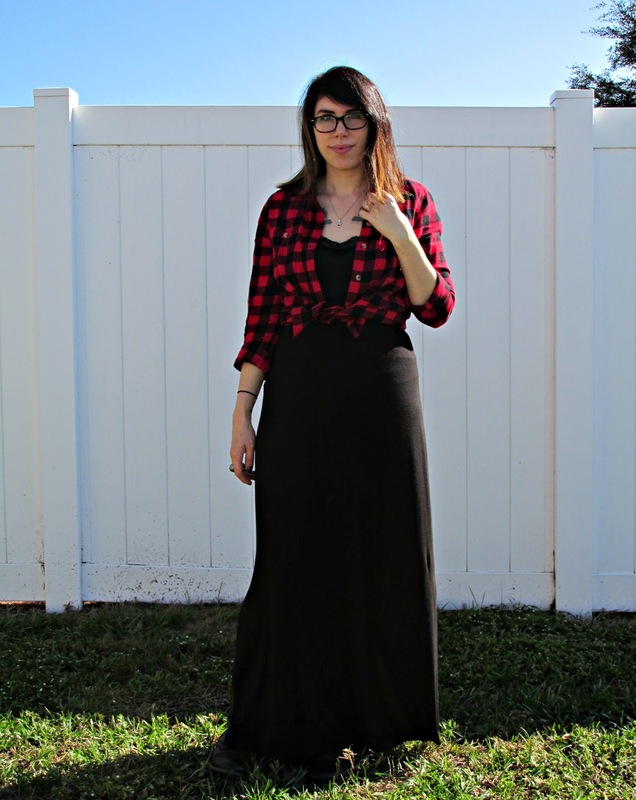 Do you own a maxi skirt? What's your favourite way to wear it? If you're looking for a maxi skirt like mine, they finally have them on sale at Target for super cheap. *Please note this post was not sponsored. I just really like my maxi skirt from Target.